We’re given one lifetime, so why not use that time to its fullest? Our intent at Honey Bee Organizing, is to show you how fun and easy it can be to de-clutter areas of your life. Afterwards, the new systems and clutter free areas give you a sense of freedom that you didn’t have before. You’ll find you can keep calm, have fun, and live a life you love! Imagine the possibilities…. 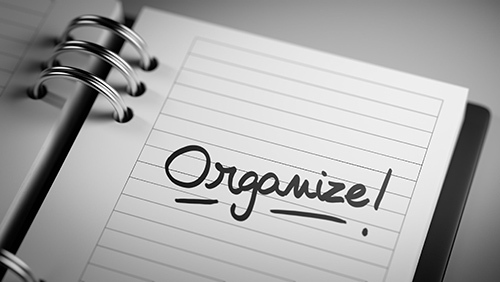 Organizing is defined as: the act of rearranging elements following one or more rules. However, according to Wikipedia, anything is commonly considered organized when it looks like everything has a correct order or placement. But it’s only ultimately organized if any element has no difference on time taken to find it. 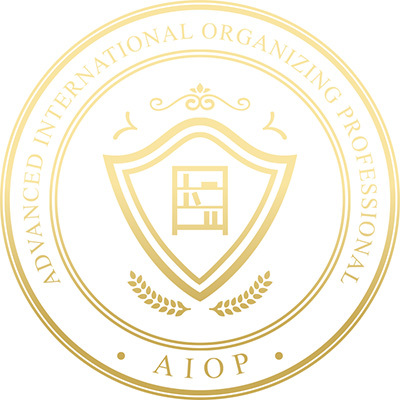 In that sense, organizing can also be defined as ‘to place different objects in logical arrangement for better searching’. Whatever the project, organization is key to keeping your time, money, and sanity. 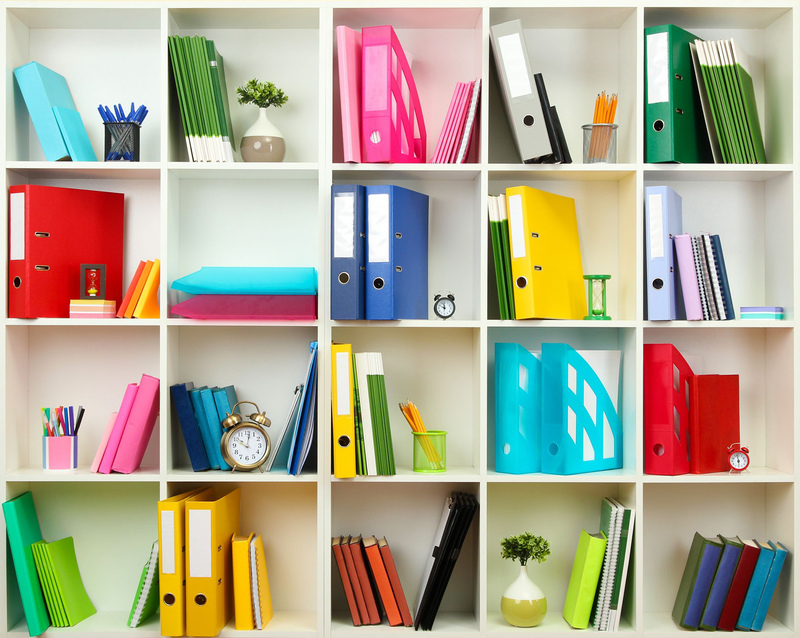 Organization is also a process, which begins with the De-cluttering phase. Whether you’re starting a business, still in the planning stages, or been in business for years, being disorganized can translate in lost revenue for your business, and ultimately, less money in your pocket each month. Packed schedules and severe time constraints can burden anyone and even an entire business. Honey Bee will assist in the restructuring of your environments, and deliver an organized framework and solutions to achieve long-term benefits; thus creating an organized space and an efficient system for you and/or your employees to use for continued success. Prior to organizing anything, the de-cluttering phase must begin. This means sorting through what has taken up not only physical space, but mental space as well. It’s an overwhelming feeling that can leave anyone frustrated and put simply, at a loss for where to begin. This is why having a partner talking you through the process can increase the results in a shorter amount of time. It’s not a “hand-holding” game at all, it’s simply having a second set of hands and eyes, and a certain skill-set to ask the right questions at the right time. It takes discipline, and Honey Bee is here to remind you of the goals you set out to reach. In order to make the process of de-cluttering enjoyable, you have to adjust your attitude. Don’t look at it as a tiresome chore, but as an opportunity to make your life more efficient and productive. If you’re planning to sell your house, it’s also a chance to raise its value. Honey Bee is the Professional service you need when deciding to move. When it comes to staging a home to sell, packing, organizing what stays and what goes, or combining two households, it all starts from the moment you decide to relocate. Being organized from the beginning is key to making the duty of packing/unpacking effortless on both ends. Don’t go at it alone, Honey Bee is here to help in anyway we can. Being military spouses, moving “homes” come with the territory. We personally understand the time and stress that comes with an upcoming move. We are here to help you keep calm and complete the move, from beginning to end, with ease and grace. Floor plans allow you to transform each room into a more functional and organized space. Rearranging or removing existing furniture pieces and adding new pieces could enhance the room’s organizational effectiveness and appearance. Designing a scaled floor plan first, is the best way to know if the new layout is going to work, and ensures time and effort are used wisely by all. Honey Bee’s motto: ‘Before you shop, do what you can with what you have!’ You can successfully design a room working only with what you have simply by ensuring that it is all put in the right place. Furniture placement lies at the heart of redesign. It may seem easy enough – most of us have rearranged furniture in our own homes at one time or another. But many people don’t realize that this process is actually an intricate art that takes skill and practice to master. The placement of furniture has a major impact on any room’s appearance. The right layout can make a small room feel spacious, or spice up a seemingly boring space by drawing attention to a feature that previously went unnoticed. People who regularly write down their goals, earn 9x as much over their lifetimes as people who don’t? 16% do have goals, but don’t write them down? Less than 4% write down their goals and fewer than 1% review them on an ongoing basis? On average, those who told a friend about their goals were 33% more successful in accomplishing their stated goals than those who merely formulated goals? Inspirational Goal Coaching is a huge factor in the Organization process, and being held accountable is the key to goal setting success. Without knowing your goals, we have no direction, and we’d be striving for the unknown. So guess what? We’re writing them down together. Because once we write those goals down, you better believe you’re going to be held accountable. Scary – yet exciting – isn’t it? Karen has an eye to see the possibilities of what your home can be. She has a flair for room organization and space planning so that she can make your home feel larger than it is. With 3 dogs rooming around the house sometimes even the largest room can feel too small when you have claustrobia. She also has an eye for decorating and how something as simple as changing your curtains from one room to another and reorganizing the room can give a room a fresh new feel. She helps take out all the stumbling blocks that are there in your home for whatever reason and helps you re-use and re-purpose what you have before you need to invest in anything new. 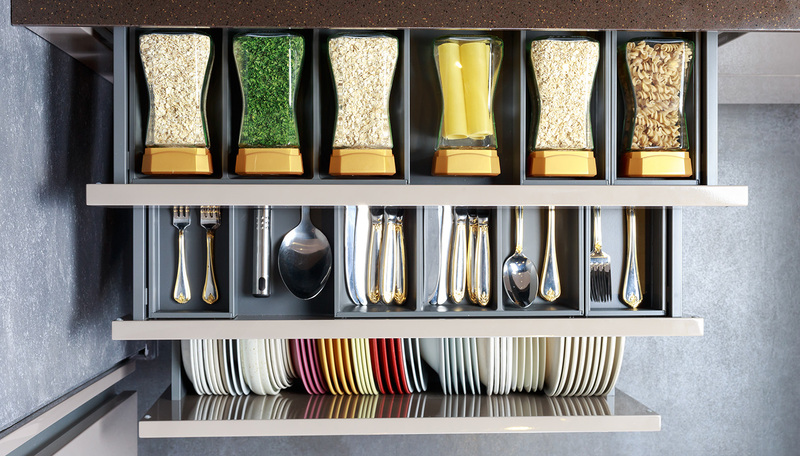 With Karen you not only can get an organizer for your home but an interior redesigner as well. I would highly recommend Karen for the complete package of interior redesigning; space utilization; organization and re-purposing what you have to make your home your haven where you love to be and to have friends over. *A Travel Fee may apply ~ If you do not see your area, but are within 30-60 miles of a covered area, please send us an email to see if we can make something work for you.